I shall start with the Construction sector first. If you were to look at all the recent announcements both from the government side as well as the private sector, I reckon the construction industry will be very busy in 2014 and 2015. 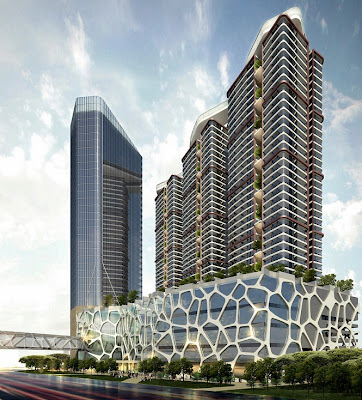 Over the last few years, the Government had announced over RM200 billion of projects and works under their ambitious NKEA plans in the Economic Transformation Programme (ETP) - and these projects are expected to drive the sector very strongly in the coming years. Well, apart from all the massive infrastructure-based projects such as the MRT and HSR (high speed rail) as well as the various new highways coming up - the Government had also announced plenty of affordable housing for the community - with at least 25,000 units coming from Syarikat Perumahan Negara Berhad, as well as about 80,000 PR1MA homes. 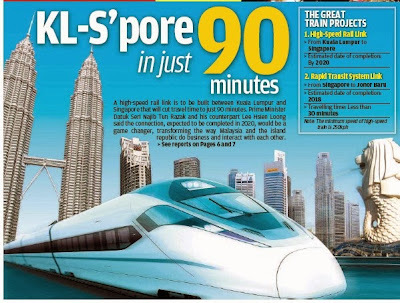 The KL Singapore High Speed Rail. Looking at the summary of projects and budget allocation mentioned above, I foresee a very exciting 2014 for the Construction sector. At Crest Builder, my Business Development and Tender divisions have already been beefed up, enhanced and somewhat upgraded - in view of the anticipation of new tenders to come up in 2014. I believe that the cake will be huge next year, and even a tiny slice of this cake would be very substantial. Meanwhile, on the Property sector - I had been telling everyone that the sector will see it hitting new record highs towards late 2014. Well, the Budget had tried to counter price speculations and increases - and with all the new RPGT rulings and various other property curb measures being introduced - I do foresee a knee-jerk reaction taking place - and perhaps it could be one that would last about 4-6 months. But Malaysians being Malaysians, and like how it has always been in recent years - these measures had always affected the sector temporarily - and right after that, the property market shoots up beyond its previous record marks. Earlier this month, I did a blog post of the 2014 prospects - and let me quote from there once again. UPWARDS.... that is where the market will head towards the 2nd half of 2014. I am a firm believer that the market will adjust itself - after all, when the going gets tough, the tough gets going. For those who are worried about an increase in RPGT, I guess you need not worry... if you had to sell your property at RM 1.5 million to make a good gain, the most likely scenario now - with the increase in RPGT - is that you would end up selling your property at RM 1.6 million, or higher. This has been the case all this while, and I do not see our property markets slowing down in any manner just because RPGT has been increased. So, if you look at the Property sector - I would foresee a slow start to 2014, but the train goes full steam ahead from the 2nd quarter onwards. 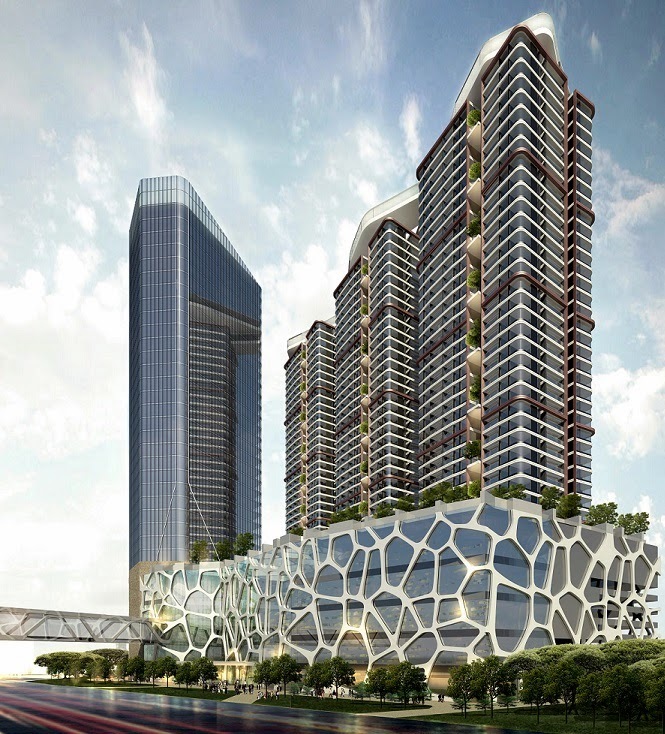 Similarly, at Crest Builder, the Dang Wangi LRT station redevelopment is targetted for a preview launch towards the 2nd quarter, with an official launch coming towards the later part of the year. So... like I said, 2014 will be an exciting year for the construction and property sectors.